See Brian play live. Every Sunday night he hosts Toronto's best jam at the venerable Grossman's Tavern. The fun starts at 9:30PM and goes until 1:30AM. Bring your instrument and join the fun or simply sit back and listen to some of Toronto's best musicians play. 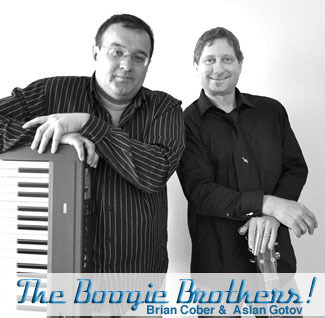 The first Wednesday of every month the Boogie Brothers perform at Gate 403. Every Thursday evening see Brian perform at 9:30PM at LOLA, 40 Kensington Avenue in Toronto's historic Kensington Market. Click on the mailing list link above to be kept informed when Brian is playing.